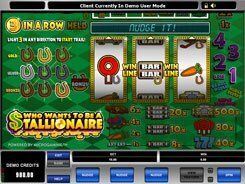 This is a 5-reel 40-payline slot, with its theme revolving around real estate agencies. On the reels, you will come across houses, estate agents, housewives, landlords, moving trucks and adpapers. 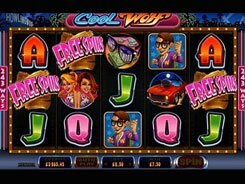 The game has a wild, two scatter symbols, free spins with an added feature, and a top jackpot of $15,000. 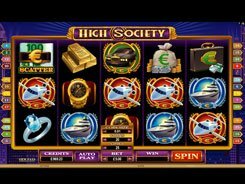 There are three configurable betting options available: the number of lines you want to bet on (up to 40), a coin size (up to $0.25), and the number of coins per line (1 to 5), therefore, the minimum and maximum stakes are $0.4 and $50, with all lines enabled. The symbol that deserves a special attention is the Newspaper that serves as a scatter. 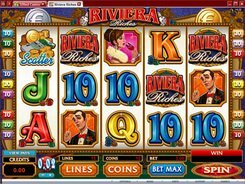 Three or more Newspapers landed anywhere in view activate the Prime Property bonus. 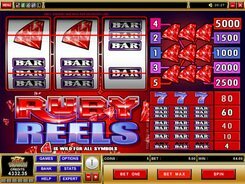 You are initially awarded 1, 2 or 3 free spins depending on the number of triggering scatters. You are then taken to the second screen that displays a newspaper unfolded to show a real estate advertising page. 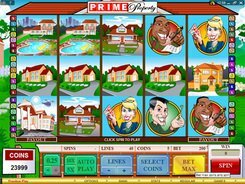 Your task is to pick houses depicted on the page to win more free spins and multipliers. 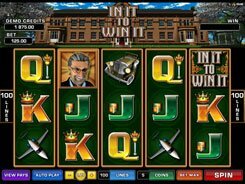 During the feature you can win up to 40 free spins and up to a x8 multiplier.